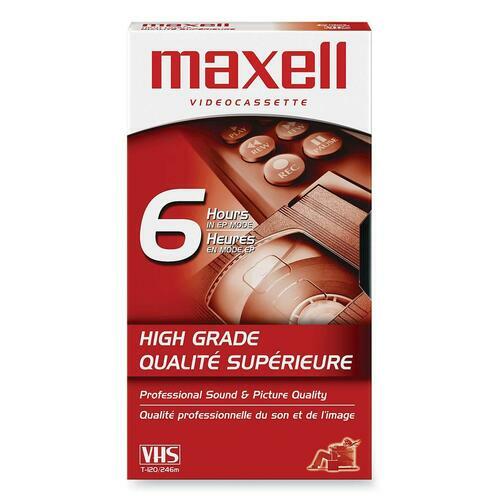 Maxell High Grade VHS Videocassette - VHS - 0.05\" - 120Minute - Welcome to TABS! 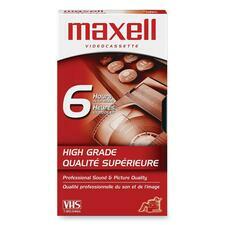 Maxell VHS videocassette provide outstanding picture and sound quality. Ideal for home theater and satellite systems. Great for recording in extended play modes (EP/LP). Videocassette Technology: VHS - High Grade Width: 7.5"